This completes the Farm Configuration Wizard. 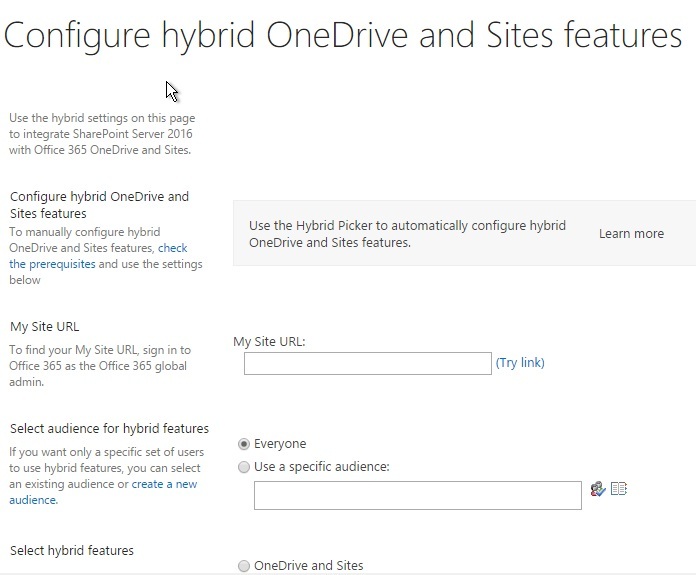 With hybrid features, you can take a best-of-both-worlds approach by providing access to Office 365 productivity services and offerings directly within SharePoint Server 2016. To learn more about SharePoint hybrid solutions, visit the ‘SharePoint Hybrid Solutions Center’. To return to this wizard, or access additionally installed wizards, click ‘Configuration Wizards’ in the left navigation pane. If you want only a specific set of users to use hybrid features, you can select an existing audience or create a new audience. How to run SharePoint 2016 Configuration Wizard? 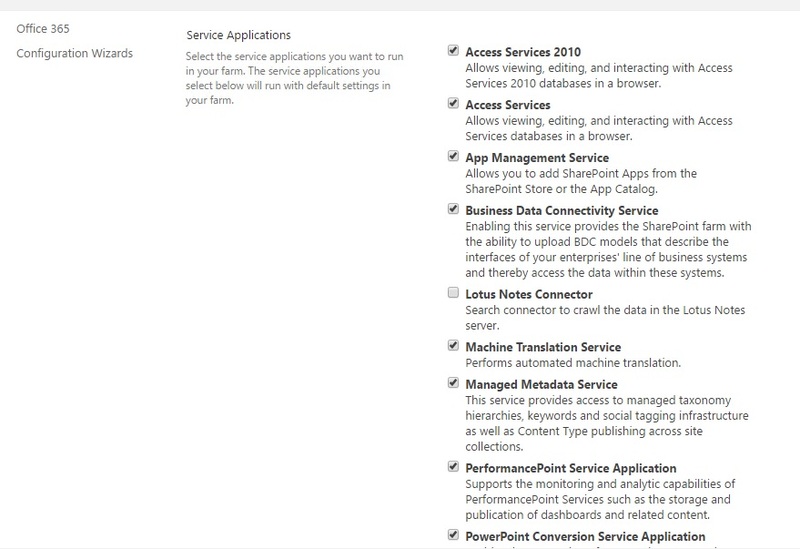 Are you familiar with SharePoint 2013? If so this is not difficult at all. Once you select all the services, click next to compete the task. 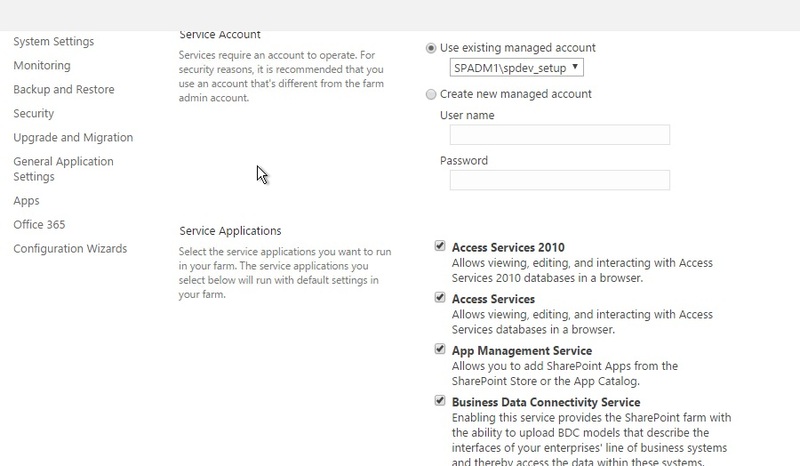 How to Install SharePoint 2016. If your familiar installing previous version of SharePoint, this should not be hard. Make sure all the pre-requests are installed and your server got all the updates.